A total of seven security forces personnel have been injured in the encounter which took place in four regions of the Kashmir Valley. Jammu: At least six terrorists have been neutralised including top foreign Lashkar-e-Taiba (LeT) Commander Ali Bhai in a series of encounters in the Jammu and Kashmir region. Two terrorists were gunned down in Baramulla’s Namalnar area on Thursday. The militants have been identified as Aamir Rasool of Sopore and the other is a Pakistani national. Both the terrorists were affiliated with proscribed terror outfit Jaish-e-Mohammed (JeM). Two more terrorists have been eliminated in Bandipora’s Hajin. It was in the same region that two civilians were held hostage by terrorists. Of the two, one civilian was rescued safely while efforts were made to rescue the other civilian, as stated by the Jammu and Kashmir police. On Friday, two terrorists were neutralised in an encounter between terrorists and security forces in the Imam Sahib area of Jammu and Kashmir’s Shopian district. By late evening, This operation got over late in the evening. A large cache of weapons was recovered from the site, reported ANI. A total of seven security forces personnel have been injured in the encounter which took place in four sectors of the Kashmir Valley. While gunfight is still on in Shopian and Sopore district, search operations are underway at Hajin and Baramulla respectively. 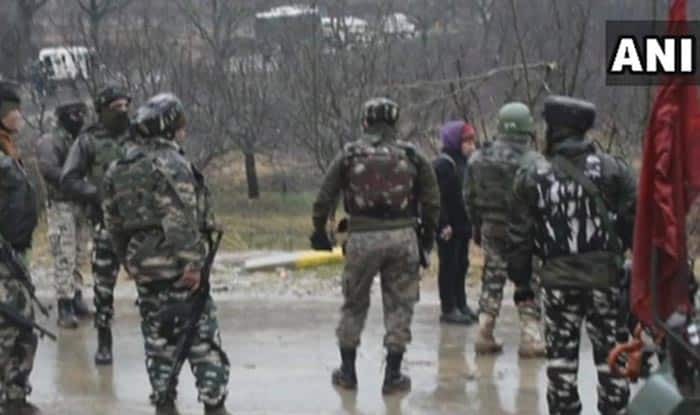 On March 11, three terrorists including the mastermind of Pulwama terror attack Mudasir Ahmed Khan alias ‘Mohd Bhai’ was killed in an encounter with security forces in Tral town of south Kashmir’s Pulwama district. Khan was the ‘brain’ behind the ghastly terror strike in Pulwama that left 40 Central Reserve Police Force personnel martyred on February 14. A huge cache of arms and ammunition were also recovered from the possession of slain terrorists. As per reports, the house in which the militants were hiding was destroyed in the operation by the security forces. On March 7, a militant was gunned down by security forces in a brief exchange of fire in Kralgund, Handwara. A Cordon and Search Operation (CASO) had been launched at Banderpayee, Handwara, north Kashmir after a specific tip-off was given about the presence of militants. After a brief exchange of fire, the area was cordoned off and searches were launched.